Wish you could extend your tablet compression tooling life? Our lined dies drastically increase tool life and increase tablet quality. 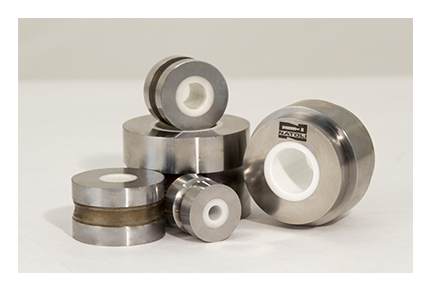 Lined dies, commonly called insert dies, are used specifically to compress abrasive and corrosive formulation. However, we’ve designed both carbide and ceramic lined dies that will also hold up to significant wear. Both carbide and ceramic lined dies have an insert that is bonded into an outer steel casing, but each type comes with its own set of benefits. 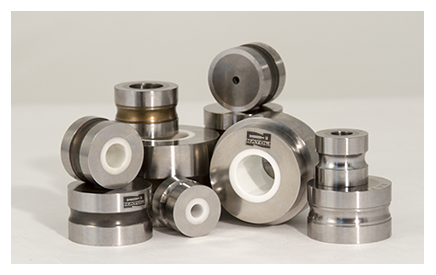 Our lined dies are manufactured for excellent tooling efficiency, durability and performance. Our Carbide and Ceramic lined dies are manufactured to the same tolerances and finishes as our standard steel dies. And the steel used for their casing is of the same, trusted quality. These processes ensure our batch-to-batch consistency always meets what you’ve come to expect from Natoli Engineering. Using these high-quality materials, we will exceed your expectation like we have for many others in industries like yours. 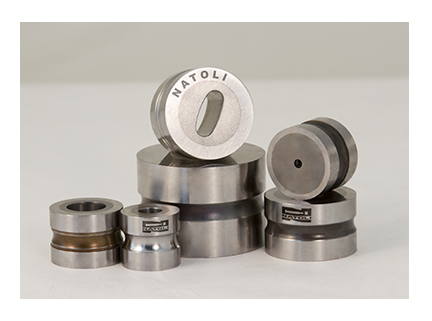 Whether you’re in the market for lined dies or anything else, Natoli will deliver. Contact us now or call a customer service representative at 636.926.8900.